Home » Just Eva	» Calling for music ideas! 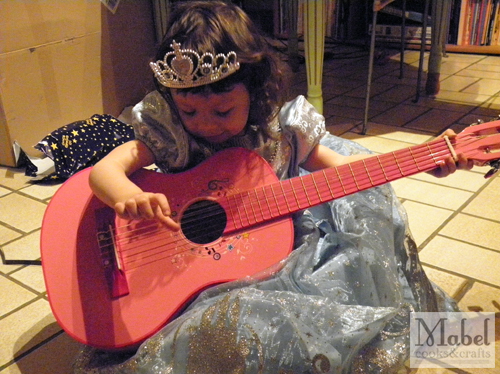 Move aside princesses coz the rock star is here to stay! 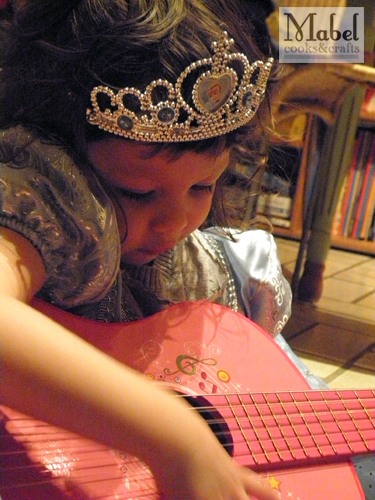 I reckon she’s too young for the best guitars around but hey, it’s a start. At the moment, she just aimlessly plucks the strings as her hand is still too small to grip the entire neck. It sits in storage on most days; I should really get started on regular music exposure “lessons” – maybe make every Wednesday a music appreciation day.